In the opening scene of Indiana Jones – Raiders of the Lost Ark (Steven Spielberg, 1981), the fictional archaeologist Indiana Jones manages to obtain the coveted Golden Idol from a hidden temple deep in the Peruvian jungle. This magical film prop is based on a pre-Columbian statuette – Dumbarton Oaks’ Birthing Figure – that allegedly represents the Aztec goddess Tlazolteotl. 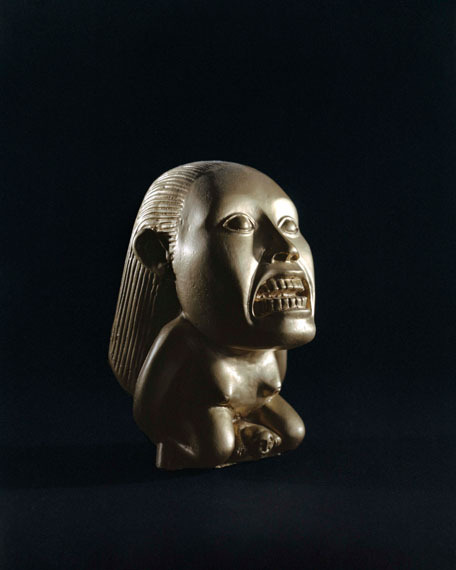 Research has revealed, however, that this figurine in the collection of the Dumbarton Oaks Museum in Washington is not pre-Columbian after all, but was most likely produced in Europe or Asia in the nineteenth century. Paans was captivated by the confusion between replica and original, and how the museum assigned value to an object that is in no way related to any original effigy of Tlazolteotl. The artist continued this cultural mutation. 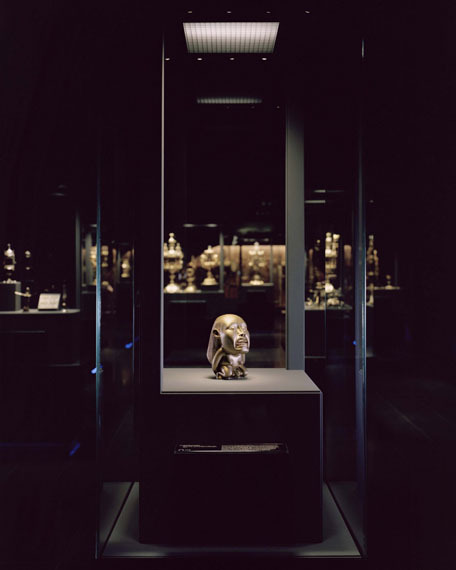 He bought a plastic replica of the Golden Idol, photographed it, and sent the photograph to an artisan. Based on the photo – which shows only one side of the figurine and gives no indication of the object’s size – this artisan then created a replica of his own, which he sent back to Paans. Paans photographed this new version, sending the photograph to yet another maker, and so on; but each maker only saw the photographed version of the previous maker’s figurine. The artisans belonged to different countries, including Mexico, China, Uganda, Greece, Italy and the Netherlands. 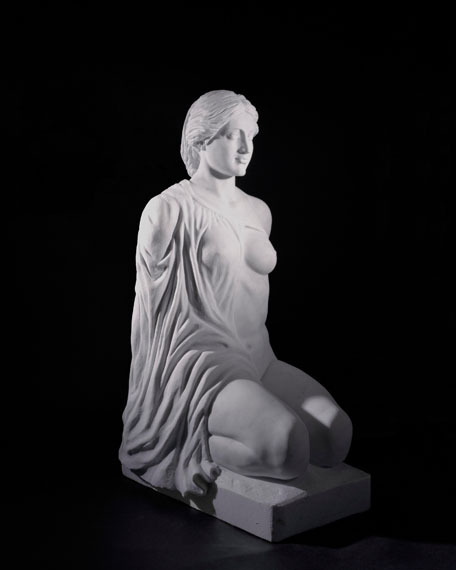 Through differences in interpretation, the statue gradually transforms from a screeching woman giving birth into a dignified woman who appears to be peacefully meditating in a half-clothed state, without any birthing or baby involved. A cultural evolution caused by the makers’ cultural background, ideology, commerce, personal taste or available technology. Daan Paans (1985, NL) graduated in Photography at the Academie St. Joost in Breda. 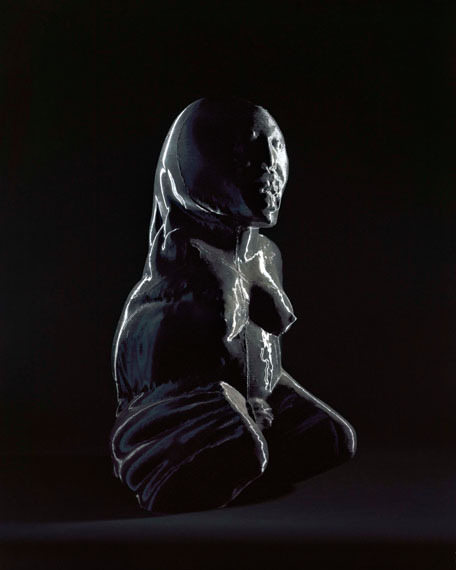 In his artistic practice, Paans studies processes of imaging that have evolved throughout history in an original way, to clarify how our view of the world has been moulded and formed. His projects often require long-term artistic research, with the end result varying in different media, but always with an emphasis on photography. His earlier project Rhinoceros (2016) was published in Foam Magazine #45 (Talent Issue). His work was therefore part of the traveling exhibition Foam Talent in London (2016) and New York (2017). Paans’ work has recently appeared in Gallery LUMC in Leiden, Cobra Museum in Amstelveen, Museum Belvedere Heerenveen, Erarta Museum of Contemporary Art in St. Petersburg, Tokyo Institute of Photography and the Müncher Stadtmuseum in München. Daan Paans is represented by LhGWR, The Hague (NL). 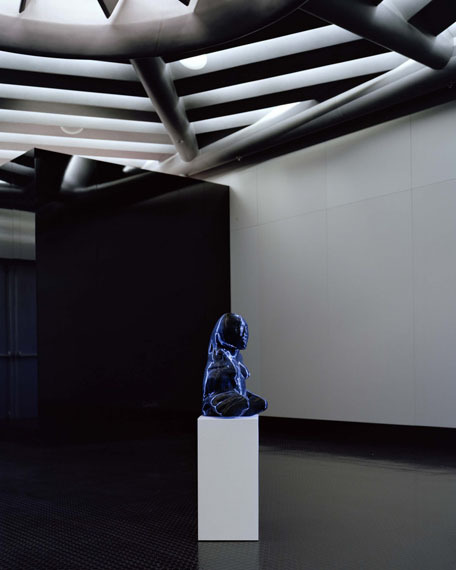 Visit and revisit Daan Paans - Panta Rhei, other exhibitions and events as a Foam Member. The project by Daan Paans was developed with support from the Mondriaan Fund. The Foam 3h exhibitions are made possible with support from the Gieskes-Strijbis Fund, the Van Bijlevelt Foundation and Kleurgamma Fine-Art Photolab.